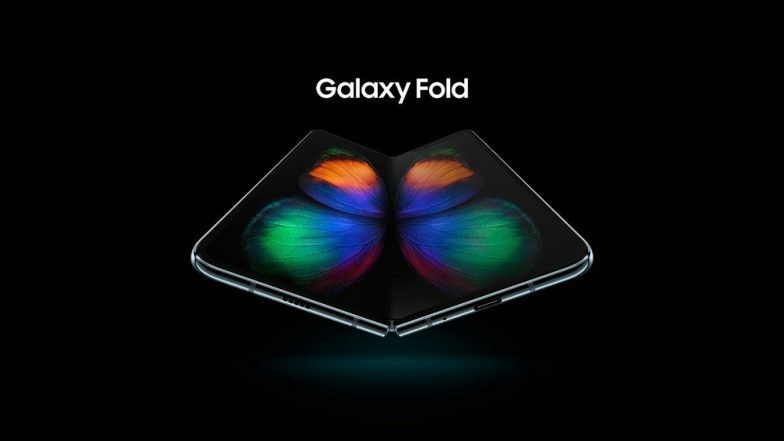 Seoul, March 26: Samsung Electronics Co said on Tuesday that it plans to release its first foldable smartphone, the Galaxy Fold, in Europe in early May. Samsung showcased its first foldable device during a global event late last month in the hopes that the new device will become a game-changer in the lethargic smartphone market. Samsung said earlier the Galaxy Fold starts at $1,980 and will hit shelves in the US market on April 26. Samsung Galaxy A70 Smartphone With 6.7-inch Infinity-U Display & Triple Rear Camera Announced; To Be Unveiled on April 10, 2019. With six camera lenses, three in the back, two on the inside and one on the cover, the foldable model will provide a new level of multitasking, the firm said. Users can open up to three active apps simultaneously on the main display. The foldable model's 5G version is expected to be available in May in the South Korean market.